Is there such a thing as a former Longhorn? These players will always be Longhorns to University of Texas fans, even though they’ve graduated to the next level of football. Every week we’ll update you on how they performed the previous weekend. Here’s a look at the Longhorns in the NFL and how they fared in Week 13. Just when Colt McCoy had a chance to prove that he could start in the NFL on a regular basis, he fractured his leg as he scrambled out of the pocket in Monday night’s 28-13 loss to the Eagles. McCoy got his first start since 2014 in Week 12 against the Cowboys and had a decent outing given the circumstances. He threw two touchdowns, but was intercepted three times by Dallas on Thanksgiving. That Cowboys team was the same that held the New Orleans Saints and Drew Brees to just 10 points to start Week 13. McCoy had a good start on Monday night, completing all four of his passes for 50 yards, but his night ended after fracturing his leg as he went to the ground on a scramble. Adrian Phillips and the Chargers are starting to look for real. Los Angeles has had good talent in previous seasons, but they’ve often found ways to lose games. They’re starting to string a lot of wins together, however. They had six straight wins before stumbling to the Broncos a couple of weeks ago. They were about to lose to the Steelers, falling behind 23-7, before ultimately coming back to win 33-30 on Sunday night. Phillips made nine tackles and defended a pass in the win. Quandre Diggs had a strong game, but his Lions couldn’t keep up with the Los Angeles Rams. Diggs made six tackles and picked off Jared Goff once. He also broke up two passes in the 30-16 loss. And @qdiggs6 pick it off! Diggs also had a monster hit while breaking up a deep pass to Robert Woods early in the game. Malcom Brown, DT, Patriots—5 tackles in the 24-10 win over the Vikings. Michael Dickson, P – Seahawks—4 punts, 49.8 average, long of 56 with 1 inside the 20 in the 43-16 win over the 49ers. Malcolm Brown, RB, Rams—2 rushes, 8 yards in the 30-16 win over the Lions, moved to IR Tuesday due to a shoulder injury. Alex Okafor, DE, Saints—4 tackles in the 13-10 loss to the Cowboys. Poona Ford, DT, Seahawks—4 tackles in the 43-16 win over the 49ers. Holton Hill, CB, Vikings—3 tackles in the 24-10 loss to the Patriots. Justin Tucker, K, Ravens—4 for 4 on field goals with a long of 47, 2 for 2 on extra points in the 26-16 win over the Falcons. Brian Orakpo, LB, Titans—1 pass defended in the 26-22 win over the Jets. Kenny Vaccaro, S, Titans—2 tackles, 1 pass defended in the 26-22 win over the Jets. Trey Hopkins, OG, Bengals— Helped the Bengals rush for 111 yards in the 24-10 loss to the Broncos. Malik Jefferson, LB, Bengals—Didn’t record a stat in the 24-10 loss to the Broncos. Connor Williams, G, Cowboys—Came off the bench and played just a handful of snaps in the 13-10 win over the Saints. D’Onta Foreman, RB, Texans—DNP in the 29-13 win over the Browns. The Texans have until Dec. 6 to make a decision on whether Foreman will play this season. Geoff Swaim, TE, Cowboys—DNP in 13-10 win over the Saints due to a wrist injury. 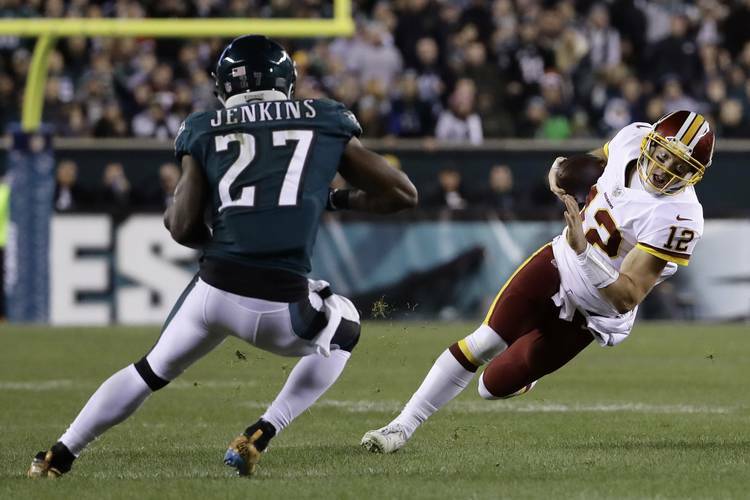 Jordan Hicks, LB, Eagles—DNP in the 28-13 win over the Redskins due to a calf injury. Hassan Ridgeway, DT, Colts—DNP in the 6-0 loss to the Jaguars. Marquise Goodwin, WR, 49ers—DNP in the 43-16 loss to the Seahawks due to a personal issue. Phil Dawson, K, Cardinals—DNP- Moved to IR due to a hip injury. Week 1, Week 2, Week 3, Week 4, Week 5, Week 6, Week 7, Week 8, Week 9, Week 10, Week 11, Week 12. Already the Big 12 and Southwest’s best, will the 2018 reign of Micaya White extend across America?